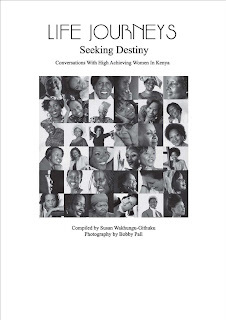 "Life Journeys": Conversations With High Achieving Women In Kenya, Week 8 - Kenya's Women of the Week. 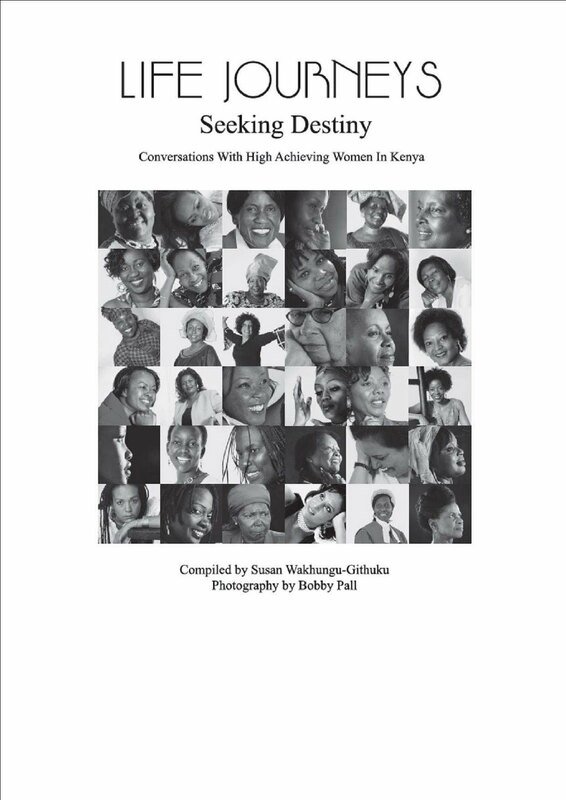 Conversations With High Achieving Women In Kenya, Week 8 - Kenya's Women of the Week. 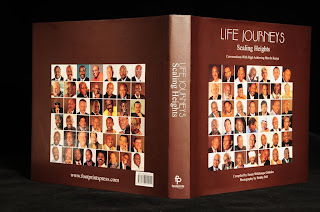 and the sequel to the "Life Journeys" trilogy, this past weekend, we'll be highlighting three men, each week, along with our three women, to continuously honor these individuals as they continue making a difference in our society. Our women of the week, are: Producer, Performer, and Writer, Mumbi Kaigwa; Lawyer, Activist, and former Member of Parliament, Josephine Odira Sinyo; and Global Corporate Executive, and Philanthropist, Dr. Susan Mboya. Mumbi Kaigwa is a dynamic and versatile artist who has acted in various internationally recognized productions, and has also written several publications and songs. In 2003, she was Eve's Woman of the Year in Arts and Music, in 1999, she was awarded Most Outstanding Actress in the Mbalamwezi Awards, and in 1979, she was awarded Best Actress by the National Kenya Drama Festival. "I grew up on a farm in what was then the middle of nowhere with my parents, two brothers and one sister. I am the youngest. Leaving the farm was not easy, so I would stay at home for long periods of time. I love the excitement of exploring different characters, the more complex the better. I have been in plays from every continent. Working with Tamaduni Players in the 1980s under Janet Badjian Young and Mumbi wa Maina were exciting times. The really knew how to coax a performance out of an actor (you know you have to call us all actors now, the way you would not think to call me a Doctoress, just because I am a woman). Artists give to society, they are not afraid to show you who you are. The artist is a reflection of ourselves and it is a great honour to be the bearer of deep truth. Lawyer, Activist, and former Member of Parliament, Josephine Sinyo is a lady who has transcended the realm of mainstream reality and limitations, which most of us adhere to. She has a Master of Law from the University of Hull, and is the Chairperson of the United Disable persons of Kenya. In 2007, she was awarded the Order of the Grand Warrior, by H.E. the President of Kenya.
" I am proud of my blindness. God knew that, only with blindness could I become what I am today, so, for me, blindness is a blessing. If I were not blind, I would not be myself and would not have my education. I have no regrets. Whenever I make a mistake, I take it as a lesson and a stepping-stone to educate others. Someone who dwells on regrets is a bitter person who is unable to forgive or forget and that is not me. I am proud of my children and I love them. I love my parents because they gave me a chance to attend school during my era. I feel blessed and wait upon the Lord to fulfil my destiny. I have struggled with many things in life. Growing up in institutions meant university was a real struggle. However, knowing God has given me special strength to overcome my struggles. Life is but a dream that you have to visualise, actualise and realise. It is like a passing wind - hours and minutes go and never come back. So it is important to live for the moment. Global Corporate Exec., Dr. Susan Mboya, is the General Manager-Franchise, of The Coca Cola Company, in South Africa. She is also the Founder and Executive President of Zawadi Africa Educational Fund. In 2004, Dr. Mboya won the Corporate Marketing Award in Ebony Magazine's 5th Annual Outstanding Women in Marketing and Communication Awards. Our family was shattered by my father's assassination in July 1969. My late mother sheltered us from some of the more difficult realities, including how she struggled to make ends meet and the pressures she felt from society following her new status as a widow. John Pepper has a way of making people do what they do not believe they can. Today, as the Founder of the girls scholarship programme, Zawadi Africa Education Programme, I have found this approach a sure way to unleash the full potential in talented girls who, like me, are not convinced of their capacity or capability. As time wears on, I can only hope that I will have done enough to be remembered as a change agent: one who made a contribution to change the trajectory of where we are going as an African Continent, a global people."